Home » Useful Guide » What’s MXF and how to convert Panasonic P2 MXF to ProRes mov for FCP? As we all know that MXF is a self-container format which is unacceptable to many editing software, like FCP, Sony Vegas, Avid DNxHD, etc. There’re so many video converters that’s able to handle video converting. 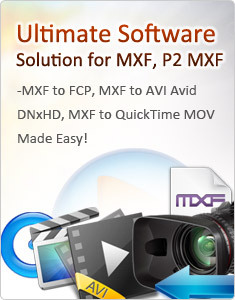 Yep, these video converters can do conversions from MXF to FCP, transcode MXF to Quicktime. But they’re not professional MXF converters, you may judge from the conversion speed, output quality. Video/Audio unsync issue is the most trouble to video converter users. If you’re a P2 user, then, I bet you can’t agree with me more. Once, a friend of mine who has Panasonic AG-HPX370 often contacted me with complains about her issue of dealing with conversion of Panasonic AG-HPX370 captured MXF videos. All of her converted files will have no sound. How to find a suitable converter for your MXF files? A program especially designed for MXF conversion is the best choice. Here I recommend TransMXF Converter for Mac. With this MXF converter, we can make it possible to edit MXF in FCP without rendering. This guide focuses on converting P2 MXF to FCP friendly format, mainly telling you how to transcode MXF to ProRes 422. 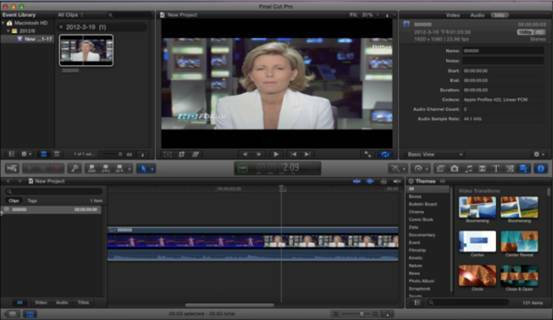 ProRes, as FCP’s native format, is the best choice for FCP editing. 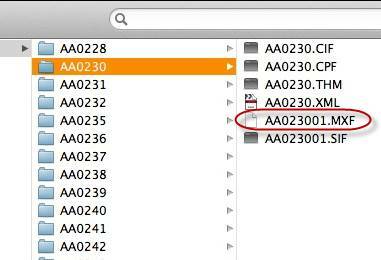 1.Add MXF files from the folder of Video.